Happy St. Patrick's Day! I don't have a St. Patty's card or outfit to share with you today, nor am I doing anything special today (other than getting my hair done, which I always look forward too! 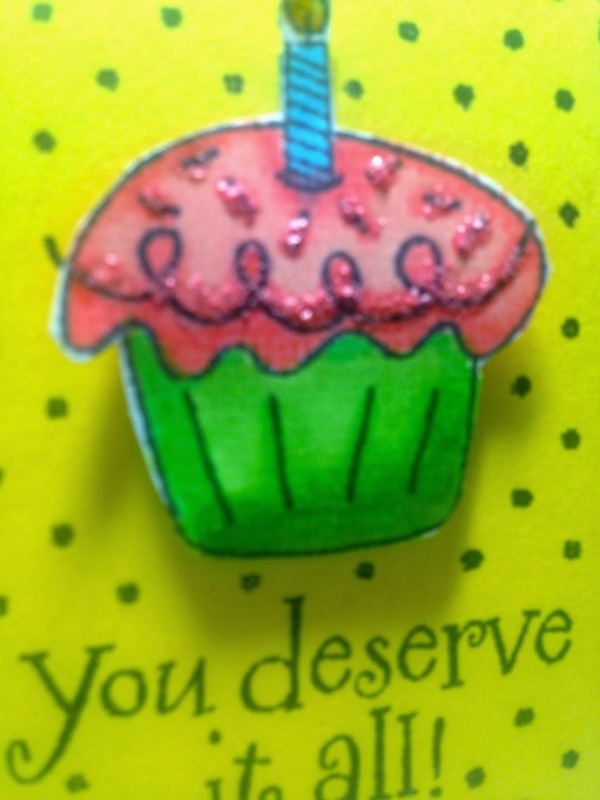 ), but I do have a celebratory card to show you in honor of the occasion. The entire card was made with one large stamp. 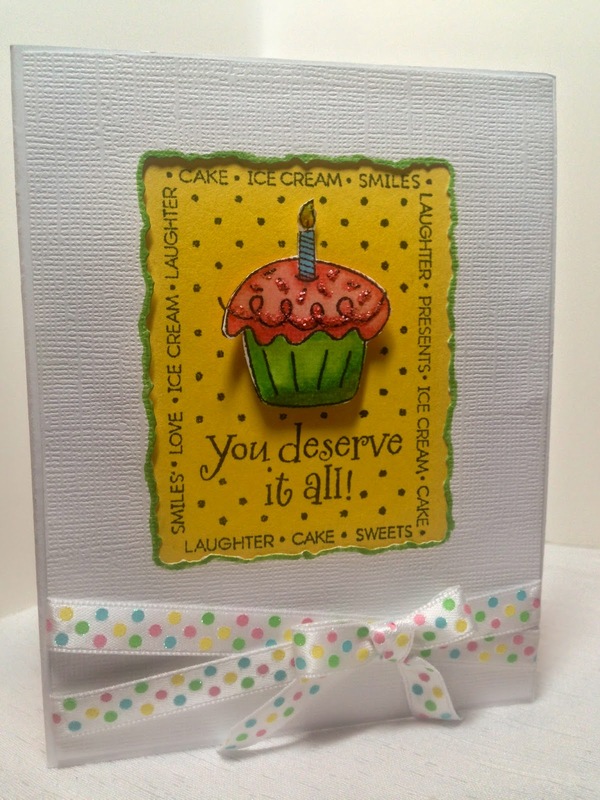 I first stamped the image onto yellow card stock, then I stamped it again onto white card stock. 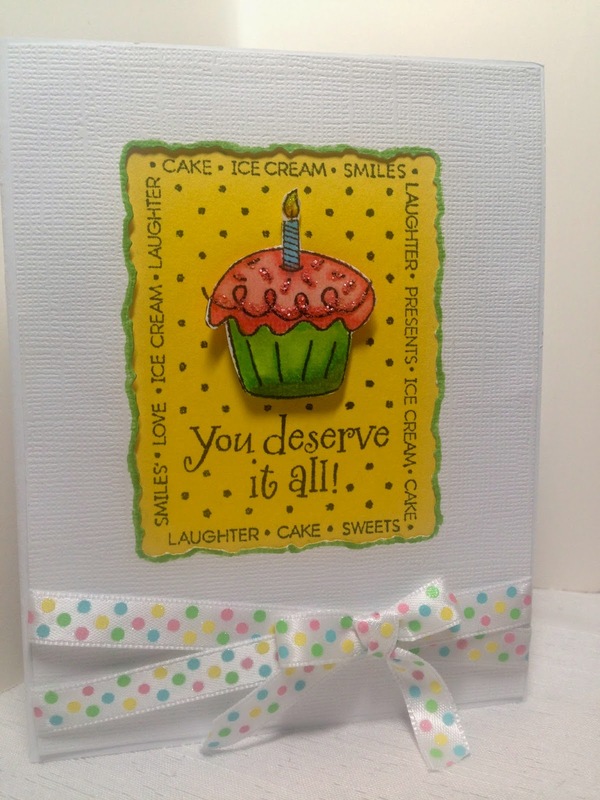 I colored the cupcake and cut it out then mounted it up on dimensionals onto the main image. I added Stickles to the flame and frosting. I cut out a frame using a Spellbinder's Nestability Die then adhered it over the main image. The main image was attached to the white card base. I colored just the edge of the frame with a marker to make it pop more then added a pretty polka dotted ribbon to mimic the dots in the main image. Linking up with Motivational Monday. and Something to Talk About. A really fun birthday card. Love the bold yellow and fun polka dotted ribbon. And nice texture on the white card front. I love cute handmade cards. They seem so much more thoughtful. Thanks for sharing at the Motivational Monday Link Party. Hope to see you again Sunday night.